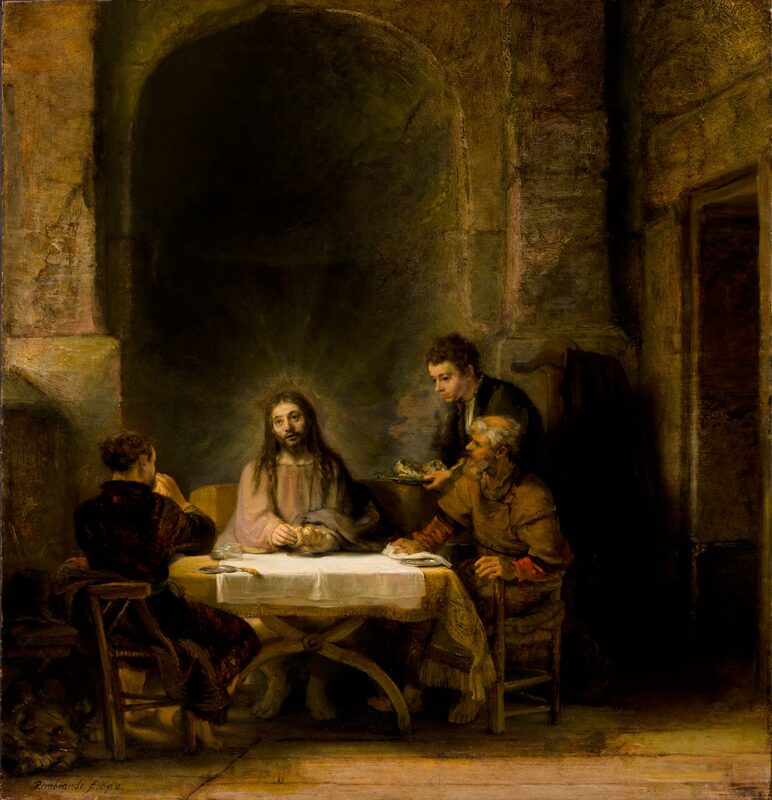 This painting is by the famous seventeenth century Dutch painter and printmaker, Rembrandt. He is praised as a master storyteller who captured intricate details with his paintbrush. Go ahead and study this painting. What do you observe? Who are the four figures represented? What are they doing? Do you recognize this scene?